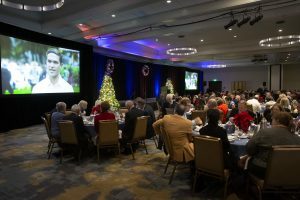 The Scholarship Foundation’s 2018 Community Leaders Luncheon took place December 7 at the Hilton Santa Barbara Beachfront Resort. The Community Leaders Luncheon is an annual event that brings together Santa Barbara’s leaders and Scholarship Foundation supporters to celebrate the importance of education. Selected speakers share their own education experiences and highlight the important role the Scholarship Foundation plays in helping deserving students pursue their dreams of higher education. From left are Foundation Board Chair Don Logan, Montecito Bank & Trust Chairman and CEO Janet Garufis, Foundation President and CEO Victoria Juarez, and scholarship recipient Miguel Cruz. Some 350 people attended the 2018 Community Leaders Luncheon, which took place December 7 at the Hilton Santa Barbara Beachfront Resort. 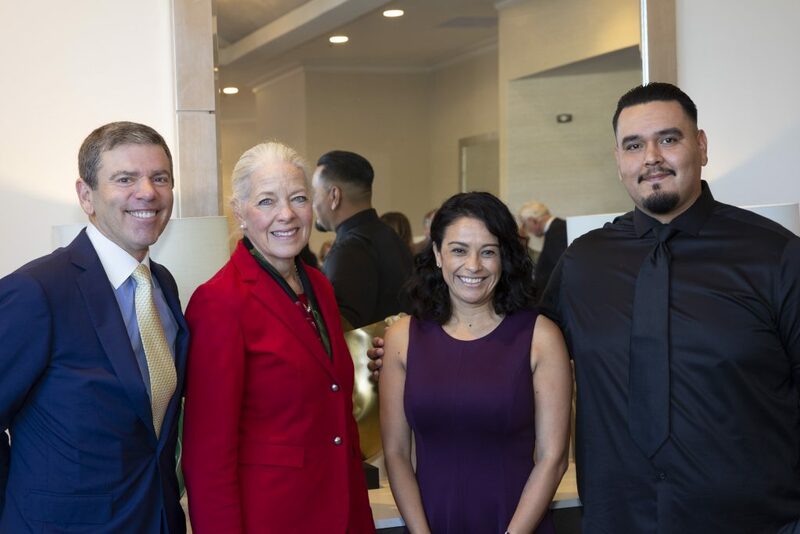 Featured speakers included Montecito Bank & Trust Chairman and CEO Janet Garufis, and Miguel Cruz, a Scholarship Foundation recipient and student at California State University Channel Islands. Foundation Board Chair Don Logan also addressed attendees. The Community Leaders Luncheon is an invitation-only event. For more information, contact Donor Relations Manager Nicole Jones at (805) 687-6065 or [email protected].